There are so many photo editors on the market for the Android, its hard to choose which one to buy. 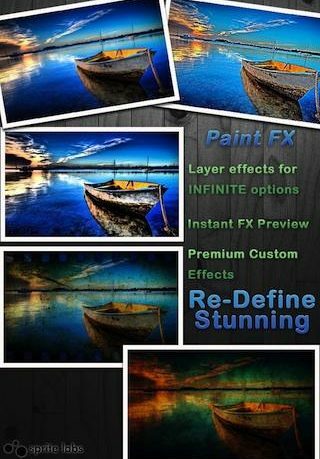 Paint FX: Photo Effects Editor is a good little app to change the display of any photo you have taken. 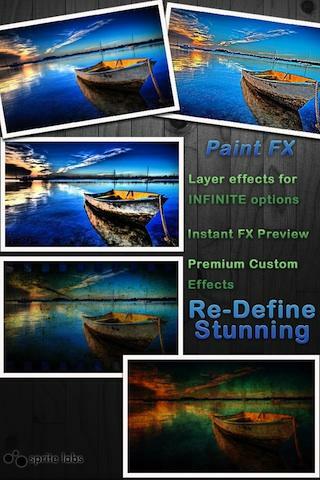 You can apply effects, colors, filters and enhance the appearance all by a swipe of one finger. There are about 69 filters or effects for you to choose from. You can then decide whether to change the whole of the photo or just a part of it. You can apply all different filters on top of each other in the photo, so you can just keep changing how you want the photo to look until you are happy with it. Includes a customizable brush that can be used to change parts of the photo, and also with zoom so you can change the photo in finer detail. 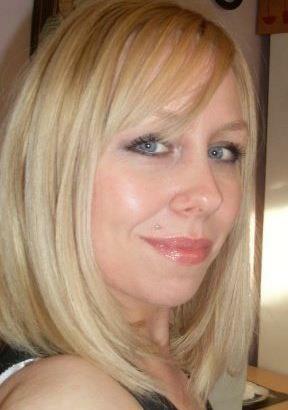 If you make a mistake, no problem you can undo what you done and start over again. You can share your final photo via email, Facebook or a Paint FX community. There is also a Mask button which you can use instead of painting an effect on your photo, you can press the Mask button, which lets you use your fingertip to highlight an area of the photo. After you have highlighted an area, you can then tap the FX button and select one effect afterwards, saving you from having to redraw the area you’d like to edit each time. This I found very useful and made great looking photos. You can also customise the background and change hair and clothing colour. I really liked this app, and found it very easy to use. I especially liked the fact that you can change different parts of a picture, which I think will make this app stand out from all the other photo editors.